Looking for a Bartenders School in Maryland? Maryland Bartending Academy offers the best bartending courses to help you launch a successful career. With over 30 years of experience, Maryland Bartending Academy has served hundreds of students in the Maryland Baltimore, Washington D.C., Columbia, and Dundalk area. 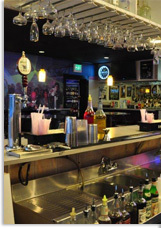 Check out becoming a Bartender in Maryland, to take classes that will help build your resume. Call us at 410-787-0020 or fill out a school information request form to begin your bartending career. Are you having trouble deciding what career path to follow? Many people struggle with the same problem. Maryland Bartending Academy can help you see the many advantages to be had in the exciting world of bartending. In this page you can discover that there are many benefits to attending a bartender's school in Maryland, and why bartending might just be the career for you. Also, by attending a bartenders school for bartending classes you will be on your way to building a successful career. Bartending has been an occupation for hundreds of years and definitely will be in the future. Read more about a Bar School in Maryland. Customer service is a very important aspect of bartending. You must constantly keep an eye out for the customer's wants and needs. You must always choose the right bar to work. Usually, the local bars are best to bartend at. This is because you can build a personal relationship with many of the local customers leading to better tips. Those who work in high traffic bars with many college students may receive more tips than in local bars; however students tend to tip less. Also, it is a faster paced more stressful environment. Ultimately you must choose which you prefer. More information about bartender jobs is available at Maryland bartender jobs. Try to carry a small guide with you. As a bartender you may encounter a situation where you don't know which glasses to use or how to make, stir, or shake a drink. Refer to your guide privately. Learn more about mixology classes at a bartender's school in Maryland. Lastly, be personable. Every customer enjoys a bartender that relates or interacts with them on a personal level. This will greatly improve your chances for a good tip. To begin your bartending career call today at 410-787-0020 or fill out our school information request form.